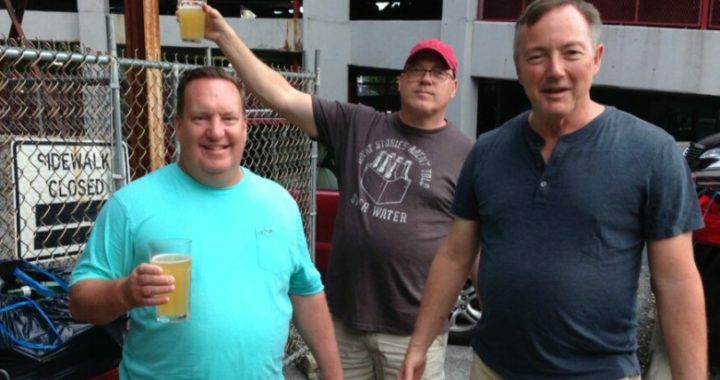 What’s a better way for the guys to spend a weekend? Baseball, of course! Last month, four of my favorite Rotary friends took a road trip to Cleveland for the Cleveland-Los Angeles baseball game. 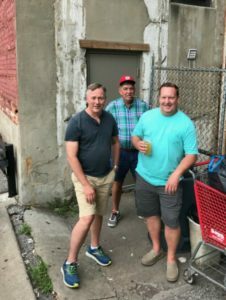 Bill Drake, Fred Davey, Erik Simonson and John O’Donnell are pictured enjoying the pre-game on the “open-air veranda” behind Nick’s Sports Center (no seats inside, right?) After the 3-0 win by the Indians, the crowd was treated to a phenomenal fireworks display celebrating the 50th anniversary of the Rock and Roll Hall of Fame. Awesome Rotarians, great friends, fun memories! Posted in Club Service and tagged Club.